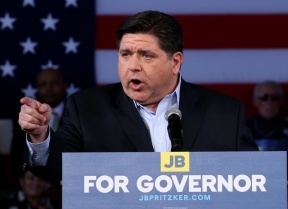 From immigration policies, to domestic violence, gun laws, and criminal justice reform, candidates for Governor Daniel Biss and JB Pritzker tackles these critical issues by sharing their solutions involving a stronger sense of community. Gun violence is a public health epidemic. It kills people, destroy families, and rips apart our communities. Our plan centers on recognizing violence as the health epidemic that it is, interrupting it, reducing the risk, and changing community norms so that everyone can feel safe in their own homes. 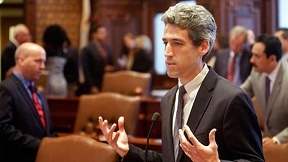 I will treat gun violence as a public health epidemic: empower the Illinois Department of Public Health to expand their treatment of gun violence as a public health epidemic; restore funding for community organizations and human services programs, partner with localities to develop conflict resolution programs for our children; create an inter-agency working group to evaluate the state’s progress in providing prohibiting records to the federal NICS background check system. I propose to restrict the number of guns that can be purchases within a set time span. Ban bump stocks, assault weapons, and expanded magazines; treat gun violence as a public health issue by funding violence prevention programs and intervention services, and fighting for universal healthcare, which includes mental health treatment; invest in the economic revitalization of economically struggling communities; and pass the Gun Dealer Licensing Act to stem the flow of illegal guns into our communities. Illinois is home to 1.8 million immigrants, including about 450,000 undocumented residents and 42,000 DACA recipients. They are our neighbors and a critical part of our state, contributing to the culture and the economy that make Illinois a great place to live. I intend to stand against Donald Trump’s attacks on Dreamers and fight for a permanent, legislative solution for DACA recipients to stay in this country and pursue the American dream; enforce the Illinois TRUST Act and support local efforts to create welcoming communities for immigrant families across our state. I will push for comprehensive solution to the current crisis that has created uncertainty for too many Illinois families. As co-sponsor of the Trust Act, I was proud to see it signed into law, however as governor I will restore provisions that were removed prior to passage, including prohibiting the use of state resources to collaborate with the federal government in establishing a Muslim registry. As governor, I will propose an office of Criminal Justice Reform and Economic Opportunity, spearheaded by my pick for Lieutenant Governor Juliana Stratton. This office will focus on evidence-based solutions to move us forward. We will build economic opportunity to keep people out of the criminal justice system and help Illinoisans transition back to their communities. We are going to support youth and adults so they do not enter the justice system in the first place. We are going to reform sentencing to match the offense and support rehabilitation. Finally, we are going to reduce gun violence with the public health approach we need to keep our communities safe. Our criminal justice system has been broken for too long. For years, politicians trying to appear for “tough on crime,” instituted ever-more harsh policies written out of fear, rather than evidence. Our system is worse off as a result, as communities lose trust in the police that serve them, and the law is applied unevenly across lines of race, class, and geography. My approach to reforming our justice system is to legalize marijuana and end the racist war on drugs, and treat drug addiction as a health issues rather than a criminal one; end for-profit policing, and instead adequately fund the justice system through a combination of state and local sources; develop programs at the community level to improve communication and trust between police and the people they serve; retool the juvenile justice system to emphasize community-based programs rather than state facilities, improve youth access to legal counsel, and expedite release decisions.